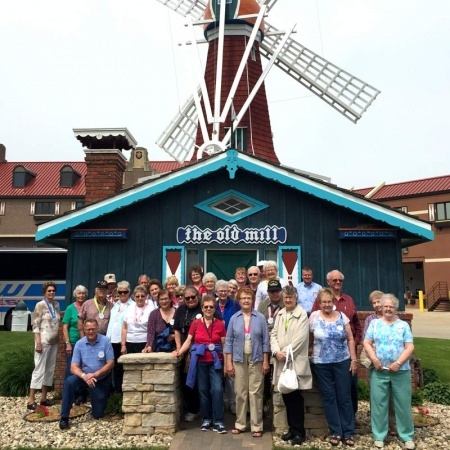 Each year at Tulip Festival, Orange City is proud to welcome thousands of visitors from near and far. Many of those who spend a festival day or two with us come from many miles away. Many return year-after-year to share the particular pleasures of a folk festival that is ever-charming and colorful. Our festival is designed with bus tour groups in mind. We’ve created a one-day sample itinerary for your convenience. For more information, call the Tulip Festival office at 712-707-4510. Book your tour for our next festival, May 16, 17 and 18, 2019. The Orange City Tulip Festival is a proud member of the Western Iowa Tourism Region and the Iowa Group Travel Association. 6:15 pm Supper on your own or as a group – The evening parade begins at 6 p.m. if your group wishes to stay downtown and enjoy the parade.